These Sign Supplies Take It Higher! Here's Where To Buy Sign Supplies Online For Huge Industry Display Spaces! SignSupplies2Go.com Has All The Variations For Sale! 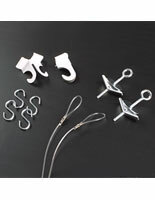 These affordable sign supplies in bulk are packages whose hanger clips work well on suspended ceilings. For plaster and lathe ceilings, or those made of sheetrock, toggle bolts are included. 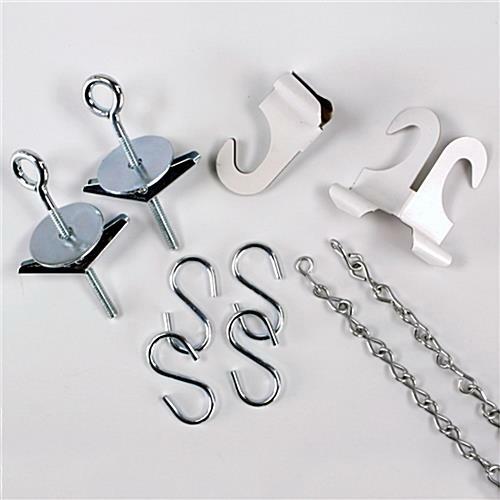 These sign supplies, ceiling suspension kits offer a distinct alternative to wall frames, whether of cheap plastic or heavy metal. These kits use hardware that's designed to install your advertising easily in a quick-change method, and the mid-air display works well as a marketing technique. 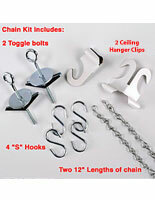 These sign supplies are gaining favor among business advertisers as superior attention-getters. Not only are they more visible than wall-based promotions, but their ceiling-based design frees up your walls for additional signs or posters. 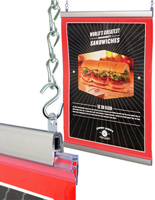 Retail chain stores and grocery markets rely on these sign supplies to raise customer awareness of newly released merchandise, and to inform them of sales promotions and the floor layout.